On a hill above the Nile the impressive Greek double temple appears, which has been dedicated to God Sobek and God Haroeris. The temples, which are next to each other, are built symmetrically. They made sure that each God was given the same number and size of rooms and that both temples had their own gate to the Nile. 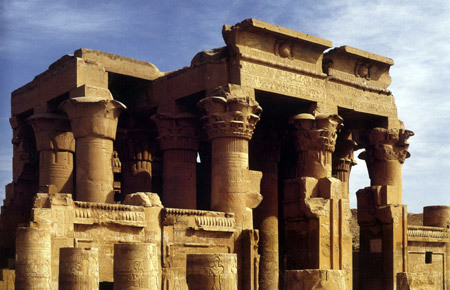 The complex was built under the Ptolemear in the 2nd century B.C. Admirable: In the Hathor chapel there are 2000-year-old mummified crocodiles.